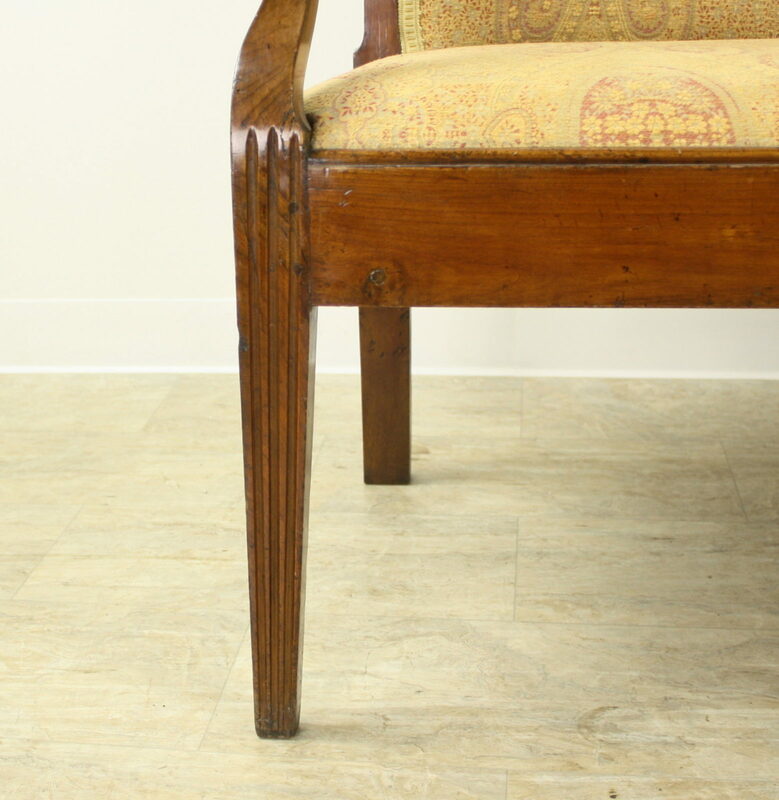 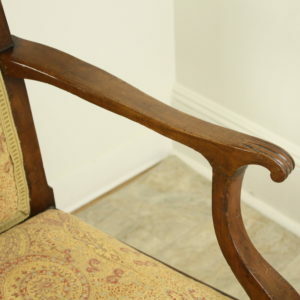 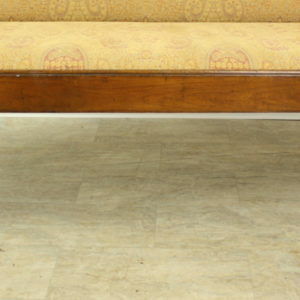 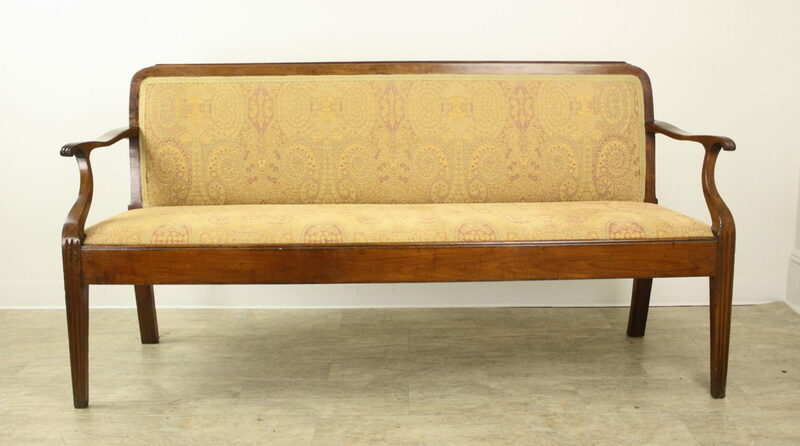 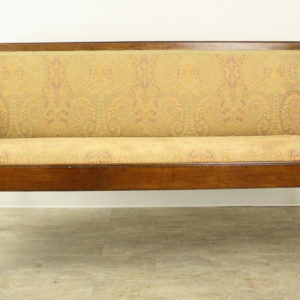 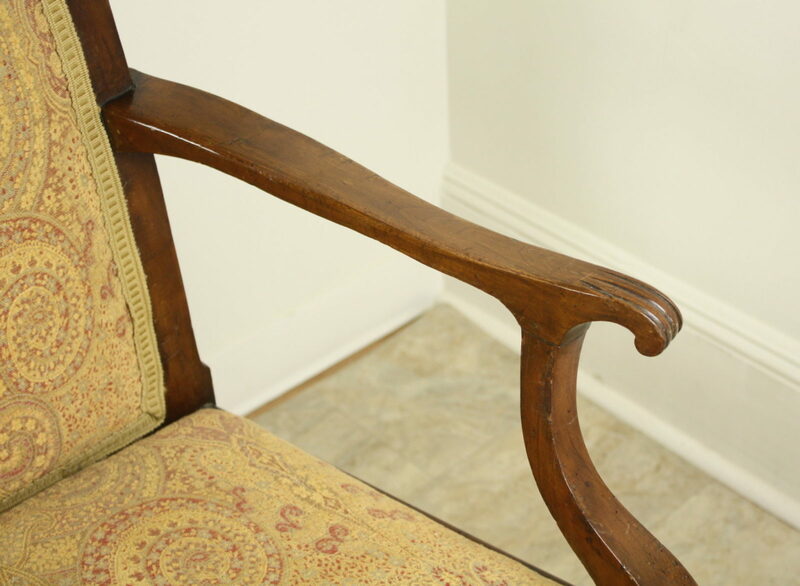 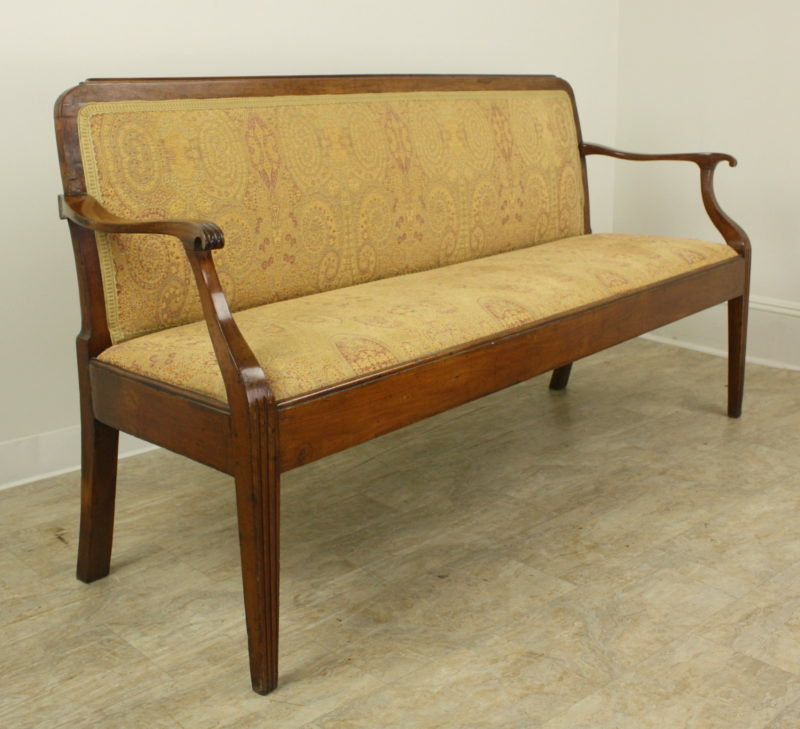 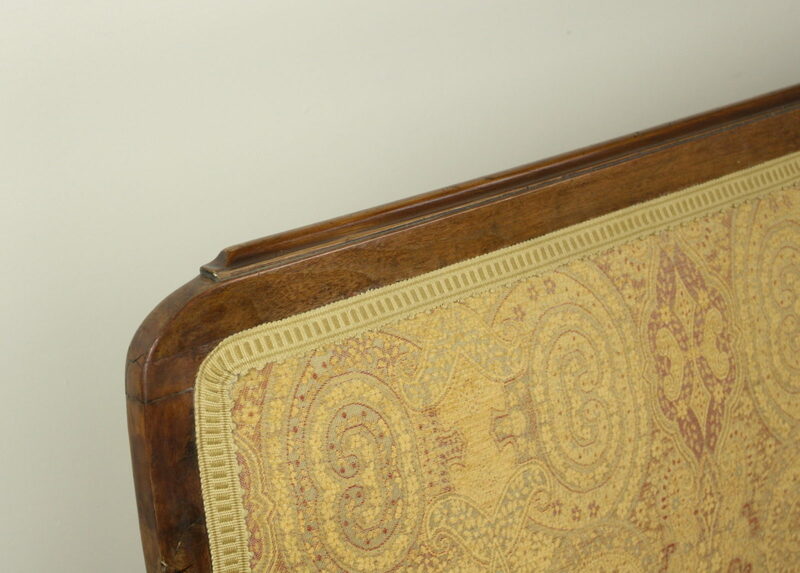 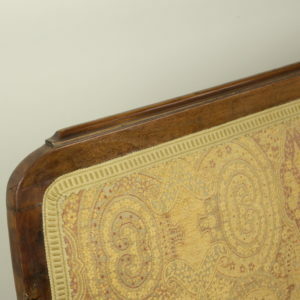 A slim and elegant fruitwood sofa in wonderful a condition for its age. 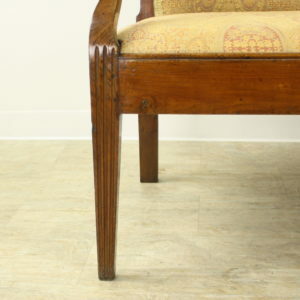 Classic Scandanavian carved accents on the arms and legs. 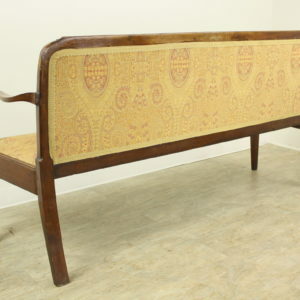 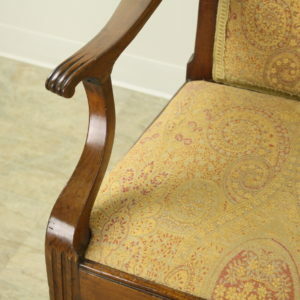 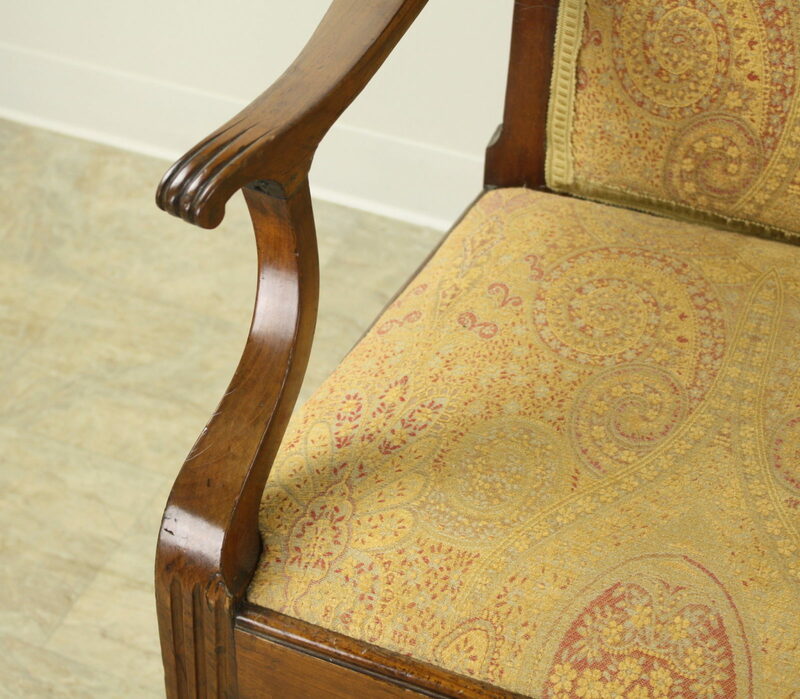 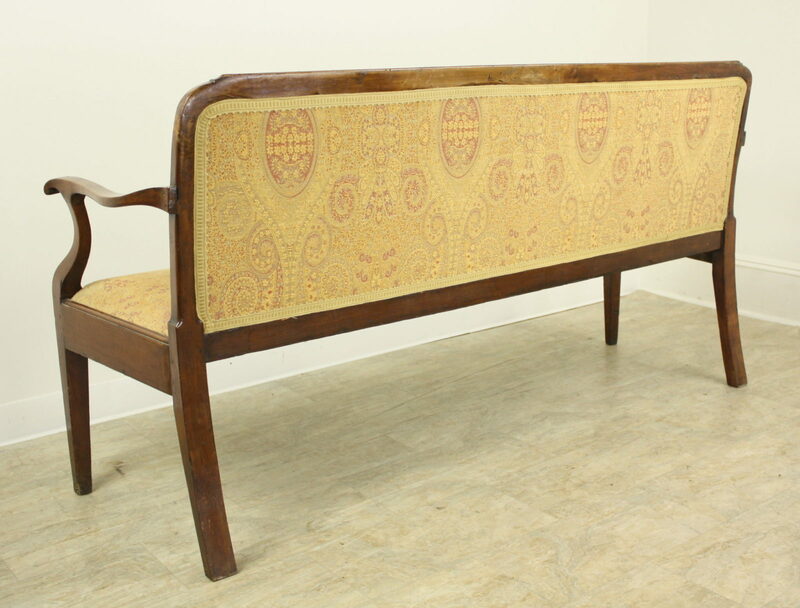 We love that the piece is upholstered front and back!